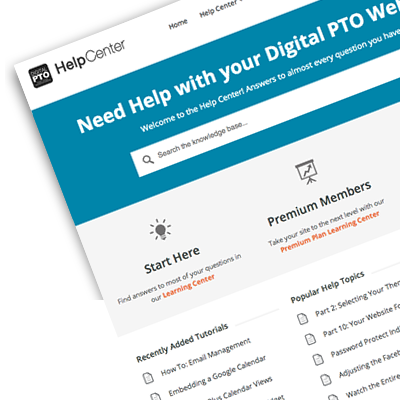 We are delighted to announce that we have just completed a complete re-design and re-write of our Help Center! Now it’s even easier to find the information and assistance you need! 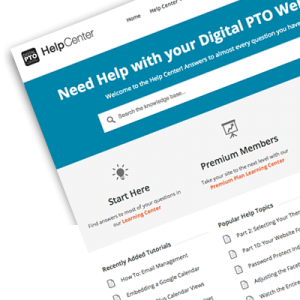 We’ve added dozens of new tutorials and updated almost every existing tutorial in an effort to continue to make Digital PTO the easiest website platform for Parent Groups hands down. We’re sure you’ll love the new design and easier to understand tutorials. We’ve increased the size of all the example images and all the text to make it easer to read and follow as well! We’ve also added a brand new Support Expert Request Form in the event that you can’t find the answer to your questions. Contact a Support Expert for advice and training specific to your individual needs! We hope you’ll like the brand new Help Center. We put a lot of energy into making it great for you. «15 Pre-Built Parent Group Forms and Growing!